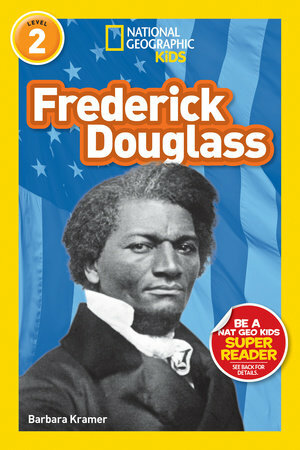 My biography, Frederick Douglass, was released by National Geographic this week. Douglass, who was born a slave in Talbot County, Maryland in 1818, was a powerful voice against slavery. He was also a prolific writer. In fact, he wrote three autobiographies. I have mixed feelings about using autobiographies in my research. That’s because they are often poor resources for details, particularly dates. My theory is that when writing about their own lives, people feel they know the facts. After all, they were there. So they write what they remember without checking details such as dates. Then people like me come along and start researching them. As I draw from a variety of sources, it sometimes becomes obvious that some dates in an autobiography don’t jive with information from other sources. It doesn’t take away from the events themselves. It just means that in writing an autobiography, people are often most interested in what happened and are less concerned about when. On the other hand, autobiographies are wonderful sources for quotes and for helping me understand how the people I write about think and feel about events in their lives. Douglass’s autobiographies are rich with details about what it was like to be a slave. He wrote about his mother, who he saw only a handful of times before she died, and of his brothers and sisters who he never had a chance to know. Douglass figured out at an early age that education would give him power. He was determined to learn to read even though in some states it was against the law to teach slaves to read. Douglass learned, and it gave him power. Douglass also wrote about freedom, something he risked his life to get. His first attempt to escape failed, but he was successful with his second attempt when he was 20 years old. He then began speaking out against slavery, which put him in great danger. He was living like a free man, but he was still property of the slave owner. There was always the fear that he could be forced to return to the slave owner where he might be killed, sold, or treated even more cruelly than he had been before his escape. At one point, Douglass was in such eminent danger that he fled to England. There he became well-known as a speaker against slavery. The friends he made in England helped Douglass buy his freedom. In 1847, he returned to the United States as a free man. He continued to make speeches against slavery and started a black newspaper. During the Civil War, he served as an advisor to Abraham Lincoln and organized black troops to fight in the war. After the war, the slaves were freed, but they were still not treated equally. Douglass continued to fight for equal rights for freed slaves and for women who were working for the right to vote. Douglass’s story is an interesting one and his autobiographies were a valuable resource for me. I’m thinking my book might be an introduction to slavery for some young readers. I hope it will lead to discussions about freedom and the importance of treating everyone as equals. It’s an important conversation at any age.